DALLAS — Efficient operations, the addition of multiple international flights and strong partnerships with its airlines proved to be a winning combination for Dallas Fort Worth International Airport, which was named 2019 Airport of the Year by a leading industry publication on Thursday. The award from Air Transport World recognizes DFW's “innovation in providing a world-class customer experience, global leadership in sustainability, cost effective and efficient operations, excellent partnership with airlines, and collaboration with local communities to further develop the economic benefits of aviation in the Dallas-Fort Worth region,” according to a news release. Sean Donohue, CEO of DFW Airport, said the honor is the aviation industry equivalent of receiving an Academy Award. At a ceremony at the airport’s headquarters building, Donohue gave credit for the award to the airport’s 2,000 employees. Recent recipients of ATW’s Airport of the Year award include global hubs London Heathrow, Hong Kong International Airport and Singapore Changi Airport, Donohue said. 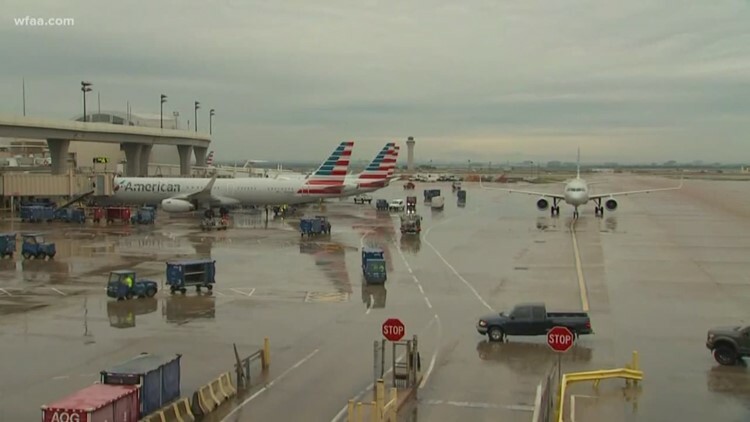 DFW is experiencing its fastest growth in more than a decade, and the expansion is expected to continue as the region’s population and economic importance grows and the airport adds flights around the globe, he said. A sixth terminal is also in the airport’s near-term growth plan, Donohue said. “When we look at the next 10 years, we’re probably going to get close to 100 million customers, and we’re going to need more facilities,” he said. Through working with the airlines, airport officials have determined DFW will need 20 to 30 new gates over that period, he said. Major infrastructure such as a terminal takes five or six years to build, so “we need to start making those decisions now,” Donohue said. DFW is the fourth largest airport in the country. The airport added 28 new destinations last year and offers flights to more domestic destinations than any other U.S. airport. It also announced nine new international flights in 2018. The ATW honor highlights the economic engine that DFW serves as for North Texas, said Dallas Mayor Mike Rawlings. "Businesses are moving to Dallas-Fort Worth at an astonishing rate, and most of them acknowledge the number of destinations and non-stop flights from DFW as a key part of their decision,” Rawlings said. In 2019, DFW expects to serve an average of nearly 200,000 customers per day and nearly 1,900 flights per day. And led innovation in the terminals with electrochromic glass technology, the improved "Experience Hub" and a biometric technology pilot program.